Want to explore the chain lubrication systems that we offer? Looking to upgrade your existing chain oiler system? 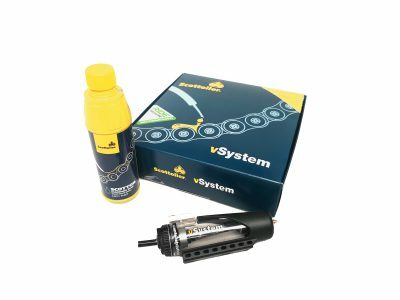 We offer an extensive range of products, from chain oiler systems to accessories, lubricants and spares and adapters, should you need any. We produce a range of motorbike chain oiler systems to suit everyone. Bike specific guides available. 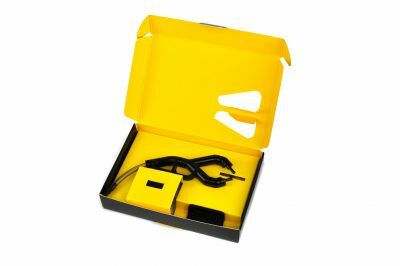 Do you want to increase the range on your system or find out about our motorcycle cruise control? 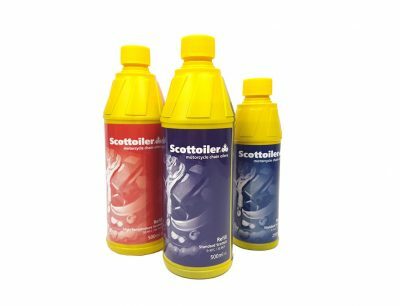 Top up oil for your motorbike chain lube system and our award winning Scottoiler FS 365 Complete Bike Protector. 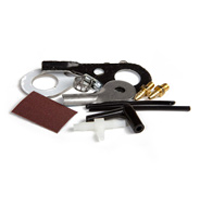 Do you need parts for your Scottoiler system?– Browse the range of available spares and adapters.